Breakfast is, from the point of view of nutritional and energy, the most important time of the day but it is often overlooked due to lack of time and haste due to daily obligations. For this the Hotel Ai Pini We want to take all the time to enjoy breakfast in our restaurant, and get your fill of energy to face with the vitality of your vacation days. 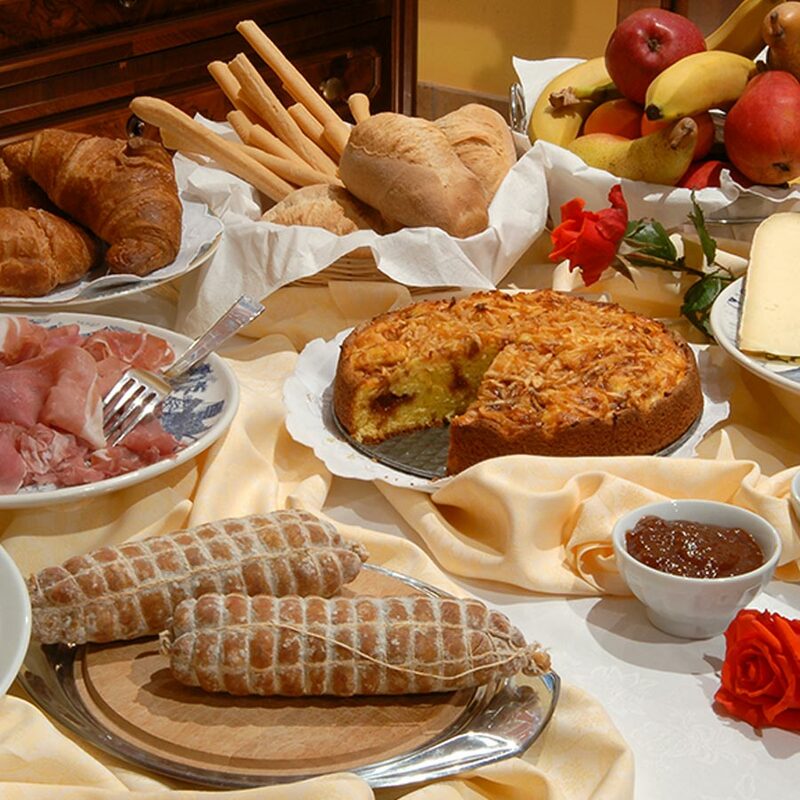 Our rich breakfast buffet will offer a wide range of foods that are alternated each day between the most important ones such as bread, milk, cheese, cured meats, cereals, juices, fruit, homemade pastries. We wait to taste our delicacies. Eating at the Hotel Ai Pini is to have the pleasure to taste dishes created with real art and passion, by a staff constantly striving to renew the offer of the dishes. The elegant dining room and well equipped is the place where we celebrate a cuisine that is inspired by the tradition but is also attentive to new dietary needs with a rich selection of Mediterranean dishes and a review of the local Ladin cuisine and traditional Trentino. The evening Our chefs will delight you with tasty and original creations prepared with care and served with love in a generous buffet of appetizers: you will find a wide selection of cheeses from our valleys, assortment of meats, prepared a variety of vegetables in a creative way , delicious preparations of fish, finger food. So you rediscover the taste of good and genuine things! 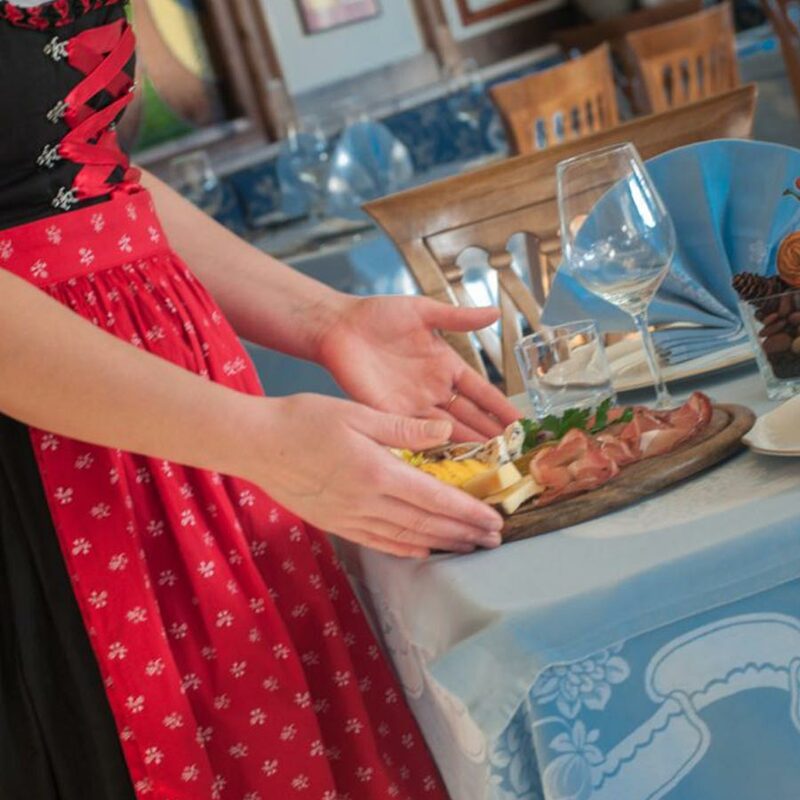 In addition, regional specialties of Trentino and the Dolomites, and the delicacies of the Mediterranean cuisine reading will alternate with international dishes making the menu one of the highlights of our hotel flowers. Preparations tasty and creative in our menu for VEGETARIANS AND VEGANS. Dietary dishes prepared with particular attention to the needs of CELIAC.